Although he had never been to a major league baseball game, in 1908 he wrote the lyrics to "Take Me Out to the Ball Game." 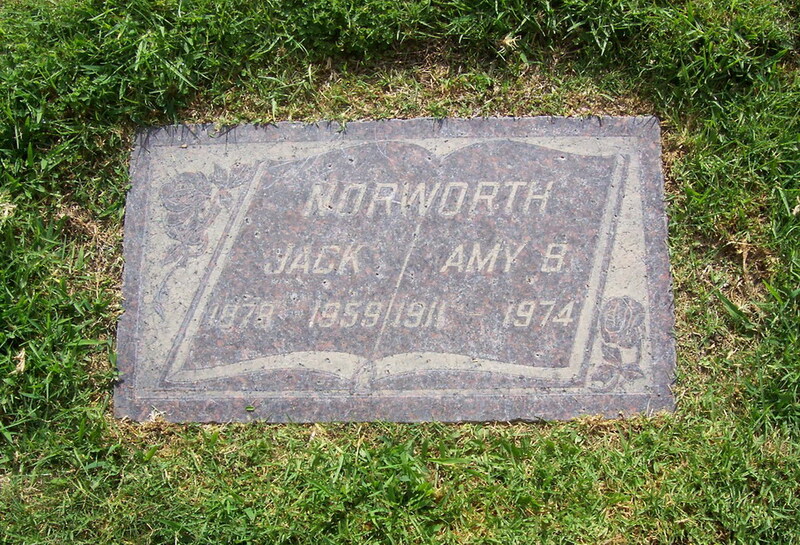 Born John Godfrey Knauff, he changed his name to Jack Norworth because his show business occupation did not sit well with his religous family. He is credited with many popular numbers from the early twentieth century, including "Shine on, Harvest Moon. "; "Back to My Old Home Town"; "Come Along, My Mandy"; "Dear Dolly"; "Good Evening, Caroline"; "Holding Hands"; "Honey Boy"; "I'm Glad I'm a Boy/I'm Glad I'm a Girl"; "I'm Glad I'm Married"; "Kitty"; "Meet Me in Apple Blossom Time"; "Over on the Jersey Side"; "Since My Mother Was a Girl"; "Sing an Irish Song"; "Smarty" and "Turn Off Your Light, Mr. Moon Man." 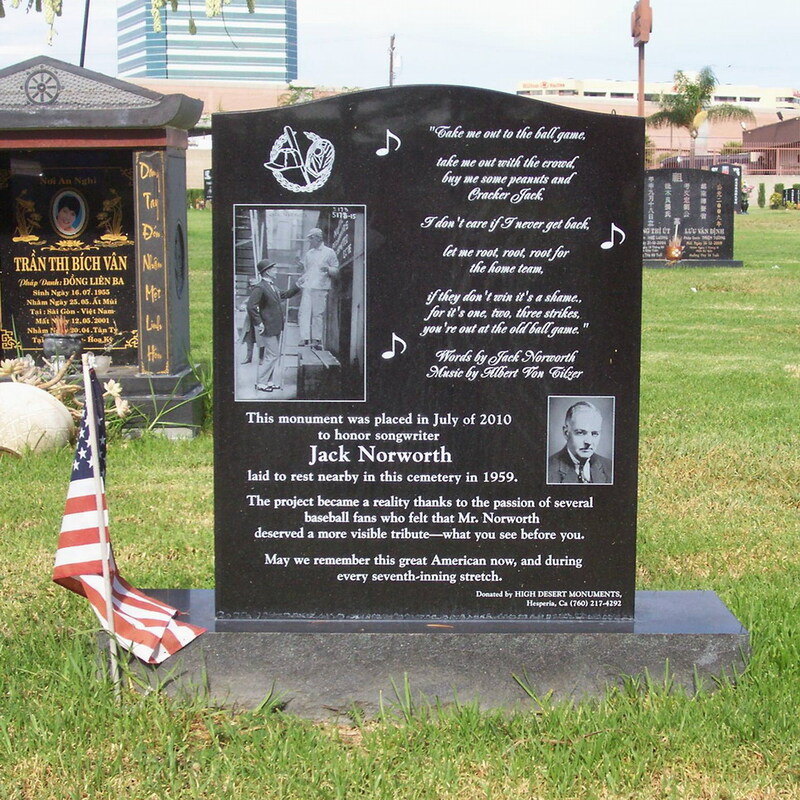 Not only a songwriter, he was also a singer, vaudeville performer and actor, appearing in a number of Broadway theater productions and early sound films. Died from a heart attack.